The goal of accountin g is to measure economic activity. This is customarily done via financial results. But accounting has many more positive attributes from monitoring performance to cost analysis. Learn bookkeeping, accounting principles, systems and technology, cash flow and finance, and how to read the financial statements. Below are respective pages of articles related to the identifier. Most of the articles are educational in nature, similar to what is found in college manuscripts, so there are no quick answers to your questions. For those of you just starting out I encourage you to read the bookkeeping section first as it introduces the basic principles related to entering data and how the books of financial record are structured. 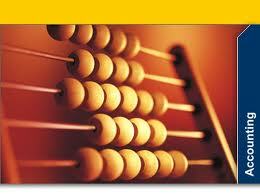 From there, read the articles related to accounting principles and develop a well rounded understanding of accounting. In addition I have a section addressing the different types of accounting systems and corresponding technology used to implement accounting. As you grow and develop a keen understanding of business, capital will become a critical issue and so I include a section about financing operations. Finally, a sophisticated business manager or owner needs to fully understand the relationships of business by understanding the financial statements. I explain the various types of reports and provide guidance in understanding and reading the financial results of operations. This site is dedicated to helping small business entrepreneurs gain knowledge about the respective areas of business and the associated operations. The ultimate goal is more profit and less stress. It is about the quality of life when you own a business.